One of the consequences of Microsoft's lockdown of Windows Phone 7 specifications was that 3rd party UIs were essentially left out in the cold. 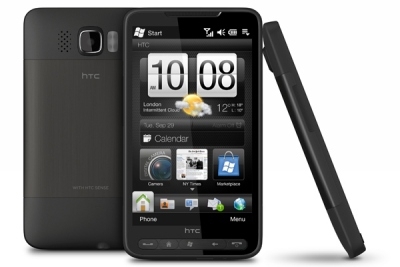 Now it seems that the restriction isn't going to be as all-encompassing as it originally sounded - HTC is indicating they will port their popular Sense UI to Windows Phone 7 and Android 3. We can only speculate how much of it will actually make it into HTC's WP7 devices, but the fact that some customization is possible should be encouraging - for personalization if for nothing else. This is good news. In fact, if true, it would be enough for me to give WP7 another look. For all those who don't like or want Sense, simply turn it off. For all those who believe it leads to fragmentation, it does NOT! It gives the end user a choice. It adds variety. It is good! It is good for the end user, and it is good for the OEM's to differentiate themselves. Don't forget, if you don't like it, simply_turn_it_off! I wonder how many people reading this have a home screen on their desktop or laptop that looks identical to anyone else's? Probably none. So why take something as highly personal as a cellphone and force everyone to use the same interface? It's ludicrous. It is the same as if General Motors told all their customers, their cars have to be black. All cars must have the same motor. Al cars must have the same interior. All cars must have hand crank windows, and so on....It sounds absolutely absurd doesn't it?! Especially for an option that can be turned off if you don't want it. Oh, and please don't tell me I can change Tiles in WP7, that is just so not enough. Changing tiles simply does not offer any where near enough flexibility. I think the concept of a single locked interface is a serious miscalculation by Microsoft, that hopefully HTC can force them to change. Don't forget that even if you don't like Sense, this can still be a good thing because if HTC does manage to get this changed, then not only Sense can be added, but many other interfaces can be as well, not just now but in the future, and who knows what fantastic UI may show up in the future that would otherwise be unavailable, thus sending people off to another platform where they can get it. For those who believe this has a negative effect of direct updates from Microsoft I don't believe this is the case. The ability to update firmware at the file level has existed for some time. In fact I recently had an Experia X10 for awhile. Although my carrier has not released an update for it yet I was able to go directly to Sony Ericsson's site and download the update and install it without loosing any of the carrier, or OEM specific material.....So worrying about the update process should not be necessary. If true, I see this is as a win win situation. Last edited by Paragon; 07-26-2010 at 02:09 AM.. I really hated that Sense on my TP2 , Finally , I've replaced it with SPB 's and I love it! In case of WP7 I do understand why MS doesn't want any customizations. MS banking big time on visual effect of its new platform, because its stripped of functionality in some very important places! Kinda super model that looks hot until she opens her mouth and start talking. I thought that one benefit of Windows Phone 7 was going to be that OS updates would be available right away straight from Microsoft. That seemed like a good idea to me. I guess Microsoft decided that wasn't a big deal - or HTC told them it was their way or nothing and Microsoft didn't want to loose a major partners. Pretty pointless if you are going to introduce a new OS, claim you will be in control then allow HTC to introduce their buggy, resource hogging "Sense" into the picture. The whole point of WP7 is that its different, new UI for the start screen, applications and menus. Why would anyone want HTC putting their own crap on there which on WM has never followed the UI conventions? If customisation is such a big deal WP7 is obviously not for you, stay with WM or move to android, WP7 is fine just as it is. I think we may be reading too much into this comment. I doubt very much that Sense is going to be loaded on top of the WP7 UI and- if Microsoft allowed that- I'd agree they were nuts. I suspect that HTC will place a Sense type of hub on the phone with some of their functionality installed. A Sense tile (which I understand can be customized by OEMs) on the Start Screen would take you to that hub. That would be fine with me. I doubt I'd ever use such a hub. I have been a fan of Sense since it was called Touch Flo because it was a nicer looking and more functional alternative to Windows Mobile. But frankly, the WP7 UI is much nicer than any version of Sense I've ever seen. Well, with the Copyright Office's ruling that "jail breaking" phones is legal... this announcement from HTC makes more sense... (no pun intended.) Since MS cannot legally prevent third parties from installing software on WP7 phones anymore by hiding behind DMCA DRM-circumvention provisions. Too bad MS, Apple got 3 years of protection hiding behind DMCA, MS gets no such protection with WP7. However, somebody's still got to figure out how to "jail break" WP7 phones, I really doubt that MS will make it easy and all of sudden open WP7 up. Although I abhor the Sense interface (too bloated, too slow on my older MSM7xxx devices) I can understand why HTC wants to implement it, and why MS would want to block it. The Sense UI is generally the same on both WM6 and Android platforms, making it transparent to the user no matter which OS underlies the UI... which is exactly why MS doesn't want to allow it on their WP7 platform, it'll just make it look just like the other android and WM6 phones out there... and HTC wants it because it gives them OS independence that they can sell to the carriers. I believe the jailbreak decision applies to users of phones. It does not prevent Microsoft from setting conditions on what else an OEM can place on top of their OS. And, as I said before, I expect what HTC wants is just a Sense hub on the phone. I do not think that HTC needed a ruling to deal with MS, they have enough weight on their own; what this decison means, among other things, is that neither MS nor Apple nor any other company will be able to lock customers to buy apps only from a predefined, exclusive market. Apple was able to leverage it for a couple of years, MS is late so it will not. Tempus fugit. Bottom line: more freedom for customers is always welcomed. Microsoft will still be updating the OS on the phones; nothing that HTC implements on their phones will change that.